Todd Hazelwood says he won't be paying too much attention to how Matt Stone Racing fares against the other single-car Triple Eight customers in the Supercars field. 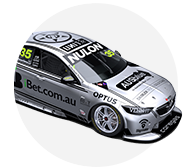 The 2017 Dunlop Super2 Series winner and MSR stepped up to Supercars last year, finishing 26th of the 26 full-time drivers. That campaign started with an ex-DJR Team Penske Falcon, but finished with Hazelwood's older-model VF Commodore from Super2 after a mid-year switch. This year, he steps into Jamie Whincup's ZB Commodore from the bulk of the 2018 season, as MSR enters a technical alliance with Triple Eight. It puts Hazelwood and MSR in a similar situation to Mark Winterbottom at the revamped Team 18 and another 2018 rookie, Jack Le Brocq at Tekno Autosports. 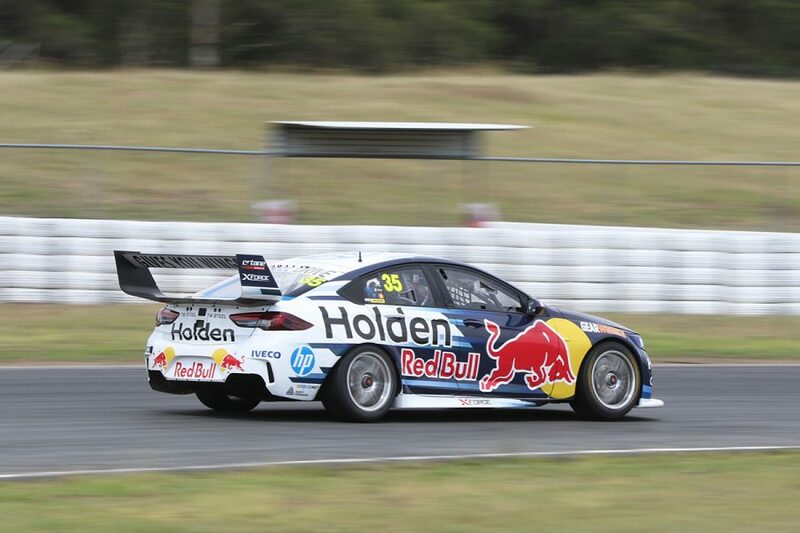 The three single-car outfits in Supercars are all campaigning Triple Eight-built Holdens, each run under a customer support program. While Le Brocq has declared he'll be benchmarking himself against Winterbottom, Hazelwood said he would not be looking to use either as reference points. "We still have to have our own objectives," he told Supercars.com. "The way the championship is now, every team is very different so we'll just keep our head down and chip away at what we do. "I think the results will take care of themselves. We've got to keep our head down and not worry about what other people are doing, just look after our own program and it'll come together. "We just can't wait to go testing now and see how we fare against everyone. "Obviously we've got a new bit of kit, starting the season, but everyone's going into the start of the year with new updates and upgrades. "We look forward to seeing how we fare. We won't really know what our pace is like until we get to Adelaide, so we're itching at the bit to see how we go." MSR and Hazelwood completed a test day with its new chassis last December, above, with Whincup on hand to help the transition. Hazelwood's ZB will complete this week's Phillip Island pre-season test sporting an interim livery, with naming-rights backing to be finalised. 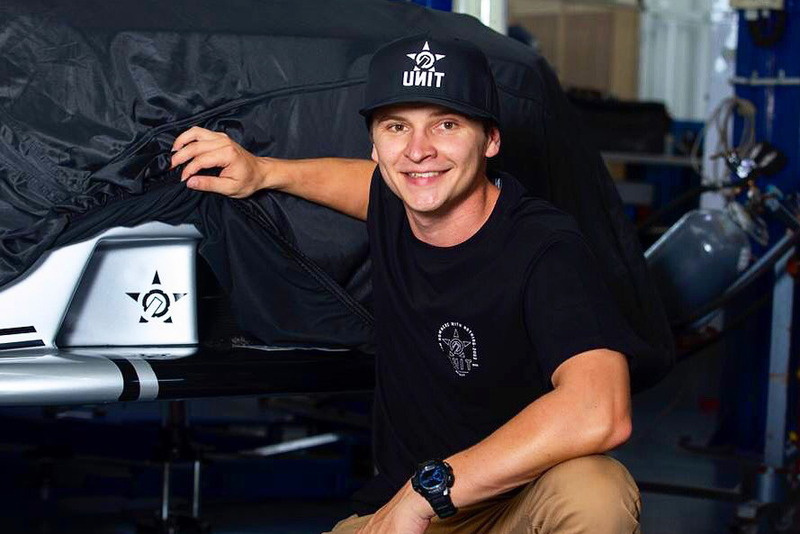 The youngster recently announced a minor sponsorship with clothing brand Unit, pictured top. 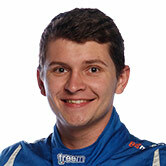 Hazelwood's second Supercars season starts in his native Adelaide on February 28-March 3. This time last year, the squad was getting to know it's unfamiliar – and ultimately parked – Ford package and stepping into Supercars with a rookie. "The biggest thing is that we're prepared, we know what to expect, we know how aggressive the championship moves on over the course of the year," Hazelwood added. "It's one of those things, we didn't know what we didn't know last year and having that year of learning is massive for all of us in the team and myself. "We'll try and use that to our best effect moving forward. "We've invested heavily in this year to make it a big one, obviously with the commitment we made last year, early in the piece. "I'm sure the direction we've made will pay off."